/ Why are Aluminum Mini Blinds Favored for Window Coverings? Why are Aluminum Mini Blinds Favored for Window Coverings? Aluminum mini blinds are favored for many reasons. Some of them include, price, style, and because they are designed to withstand kids. Aluminum mini blinds give an elegant look to any room that is sleek. You can even manage a retro look with aluminum mini blinds by using the decorative tapes that are included with the blinds. Kids can destroy blinds by crashing them down with the strings when they are open and destroying the blinds and the string. Aluminum mini blinds include crash proof cords that don’t allow the blinds to come falling down quickly destroying the bottoms of them. You also can buy aluminum mini blinds in different gauges of aluminum like six or eight. If you have kids and are sure they might be bending the blinds and there will be heavy wear and tear with them being pulled up and down over and over, the eight gauge is best for you. The sleek look on aluminum mini blinds comes from an enamel finish that is baked onto the blinds. These blinds come in different sizes depending on your taste and the amount of light you prefer to let into the room. You can buy aluminum mini blinds in ½-inch micro blinds. These are really small and look great on doors and larger windows. You can buy one-inch minis also which are the standard sizes for aluminum blinds. The great thing about aluminum blinds and why they are favored is the durability from kids, the prices of these blinds is affordable, and the light control. 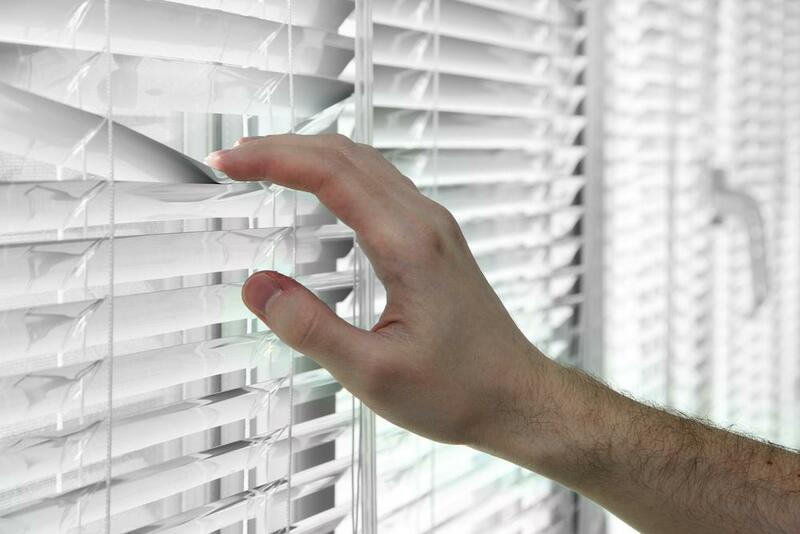 The aluminum mini blinds provide excellent control in the privacy and no one can see through the blinds and into the house. You also don’t need to buy a valance to put above the blinds so it looks nice in the window. Aluminum mini blinds contain a built in head rail that looks better than a valance and matches the blinds. Enjoy covering your windows with aluminum mini blinds and rest assured the kids won’t destroy them. Giving your room a sleek and retro style is a great idea with aluminum mini blinds.